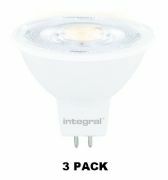 What are MR16 LED bulbs and where can they be used? The MR16 fitting is one of the most popular lamp sockets used in homes and businesses and accounts for up to one billion sockets used around the world. The multifaceted reflector (MR) lamp, very compact in size and usually powered by a low voltage transformer producing 12V and sometimes 24V. Despite being low voltage halogen bulbs use a very 'efficacious')high amount of energy in comparison to the LED equivalent. 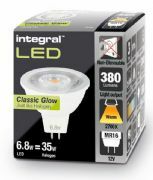 Due to this our lamps, with their high efficiencies of up to 90 lumens per watt and long lifetime up to 50,000 hours, offer a very smart substitute to the halogen counterpart, with a typical low efficacy of 15 lm/W and short lifetime of approximately 2000 hours. The multifaceted reflector lamp is a generic term to cover the type of lamps with a wide range of fittings. However in recent years MR16 is often used to describe the GU 5.3 fitting in contrast to the GU 10 fitting. 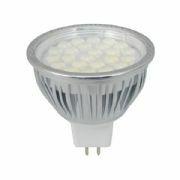 Please have a look at our MR16 12V LED bulbs that are a direct replacement for existing 50W halogens bulbs. They are the same size, same fitting and equivalent brightness so can be simply swapped with your old bulbs. As they use over 90% less energy and last on average 25 times as long replacing your halogen spotlights with LED equivalents will save you money. These bulbs are usually connected to a transformer to drop the voltage down to 12V AC. As LEDs require a constant current our products have inbuilt circuitry that changes the current from AC to DC allowing them to be compatible with most transformers. However in some instances the load range on the transformer is too high, so a dedicated LED driver is required. A dedicated led driver is also recommended as it can help to extend the life of the bulb as it provides a constant current at a much lower load such as 5W. In addition they use less energy than traditional transformers so further savings can be made. 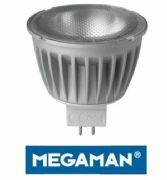 We stock a range of dimmable and non-dimmable lights in both warm white and cool white from reputable brands incluing Megaman, Integral and LEDIFY. 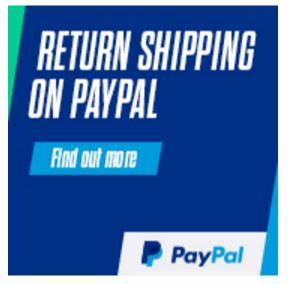 We also stock suitable dimmable LED drivers, connectors and dimmer switches. Traditionally a single driver or transformer would be used for each lamp, which has the advantage of individual control over each lamp reducing the risk of overall lighting failure. It also allows lights to be replaced on an individual basis. We also stock higher wattage drivers that can power a number of lights from the same unit. For example a 50W driver could power up to 10 x 5W units. Although we recommend not going to the limit of the driver and to purchase a slightly power driver to cover slight variations for example if the 5W bulb in practice consumed 5.3 Watts. A higher power driver has the ability to deliver more power if required however will only draw the amount placed on it. We also stock suitable connectors and lampholders to accommodate your lighting requirements. The directional lamp performance is categorised by its centre-beam intensity at a specified beam angle in addition to lumen output. For the US the main requirements for Energy Star certification are ANSI-standard dimensions and base, >40 lm/W efficacy, and a minimum CRI of 80. Further requirements can be found at the Energy Star website. With reference to the ANSI C78.24-2001 specification, the diameter of the MR16 lamp is 16/8-inches or 2 inches (50.7 mm) and the length is also 2 inches (50.5 mm). With these strict measurements there is limited space for the internal electronic components and optics. Manufacturers face a challenge to design the internal drivers that can fit in the small base of the lamp, and choose a suitable optic or reflector that is sized accordingly. It is possible to connect some of bulbs to a dc source such as a leisure battery, making them an ideal solution where lighting is required without a connection to the main power supply.